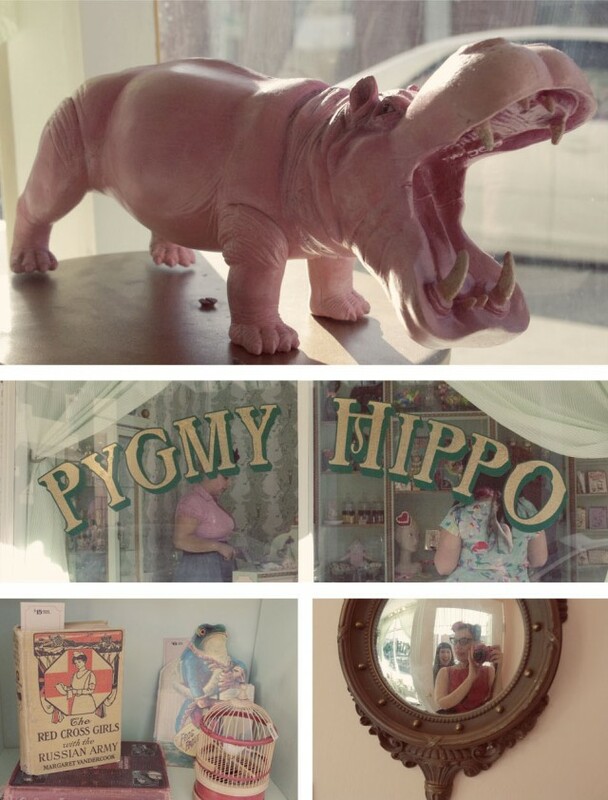 While I was in LA, I had the pleasure of visiting Pygmy Hippo Shoppe! My agency made their website a couple months ago, and I had been dying to see the place in person! 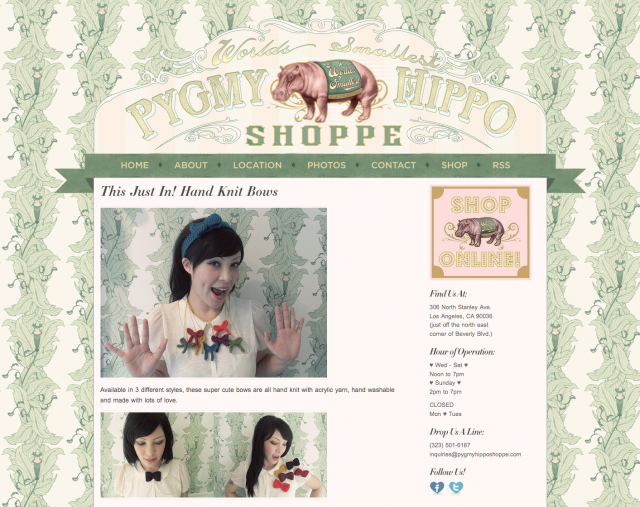 My wifey Marie hooked me up with the Pygmy Hippo folks, and I’m super glad to have gotten the chance to work with them! When developing the site, Pygmy gave us a few of pieces to build the design off of- a background graphic of the wallpaper they have in the physical store, and a large graphic of the store’s name and logo. My partner, Tim, thought the whimsicality of the graphics called for anything other than your standard square header, so he created an ornate alternative. I thought that the navigation bar needed a handmade touch, so I added a ribbon banner. I’ve seen quite a bit of ribbons in web design trends as of late, but I’ve mostly seen them done with solid color. I decided a realistic looking ribbon was a fun way to put my spin on that. From there, we used custom typography to round out the look. When I got to the store, I was elated to see just how freaking adorable it was in real life. Emi, the woman behind the hippo, is amazing and inspiring. All of you folks in LA, go visit! 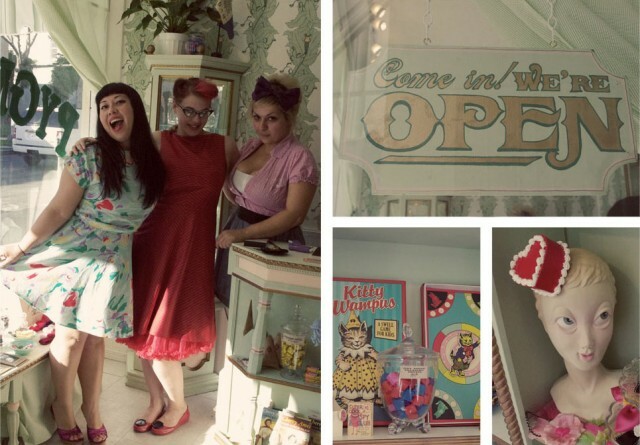 If you’re not local, get a small taste in their online shop.